Isn’t she just soooo adorable. Makes you wanna have 10 of them. lol. I hope Kim and Kanye are planning to give her another little brother or sister. South West maybe? I keed, I keed. LOL.. Well the Kimye Klan have left the building and by the building I mean Italy. Still wishing Kanye and Kim a happy married life. That kid is all Kanye in the face. But Kris couldn’t help herself with these shots couldn’t she? Kanye will not be amused. Helo toni,cn we do busnes? She’s so cute, but she does look like Kanye but cuter. 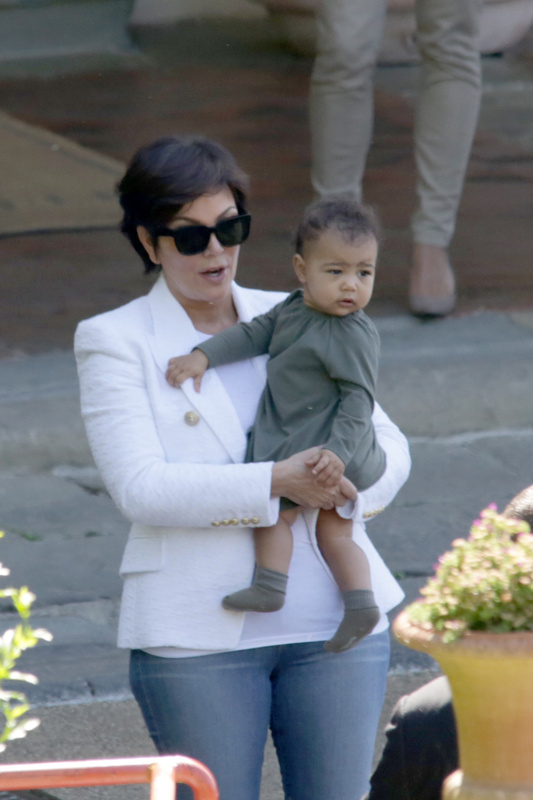 North looks very cute! Just not a fan of Kim or Kanye.